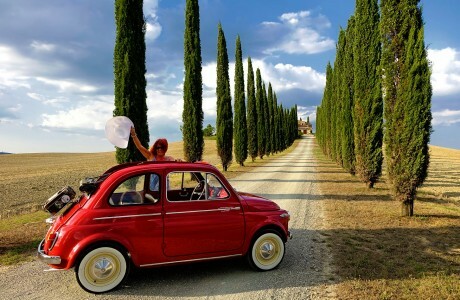 Touring Tuscany, Italy via a red vintage Fiat 500.
Credit: Special thanks to Helmut Plamper for granting permission to use this photograph as a jigsaw puzzle. Visit Helmut Plamper's Flickr photostream. See all jigsaw puzzles based on Helmut Plamper's photographs.